In a two part questionnaire, Eurohoops discussed with players the differences between the three best basketball competitions in the world. The three best basketball competitions in the world are with no doubt the NBA, the Turkish Airlines EuroLeague, and the Chinese CBA. The best players in the world compete in these three leagues, and some of them have had the chance of participating in all three. These players, most of them American bring a unique perspective to the sport of basketball, after being able to travel around the world, see different cities, and lifestyles, but also different styles of basketball, arenas, fans, etc. What are the general differences of the competitions? How can the EuroLeague and the CBA close in the gap in the NBA? Should all competitions start sharing the same rules? DJ White: In the NBA, you have facilities you can use 24 hours a day, while in the CBA, they might turn off the lights, right when the practice is over. In my time in the EuroLeague, I was with Baskonia. You had access to the gym, but not like the NBA. Basketball is all day, every day in the NBA. You have access to everything, chefs on hand, etc. In the CBA, you stay at a hotel, eating hotel food, and the travel is not as good. In Europe, travel is kind of the same, as a normal European team. NBA: The best players in the world. The greatest competition in the world. Nothing can ever compete with the NBA. Guys are playing at the highest level and you can’t beat that. EuroLeague: Second best competition in the world. You are playing against all the international competition at a young age (before they get to the NBA). The international game is evolving. Young players are getting the opportunity to play at the second highest level at a very young age, like Luka Doncic. 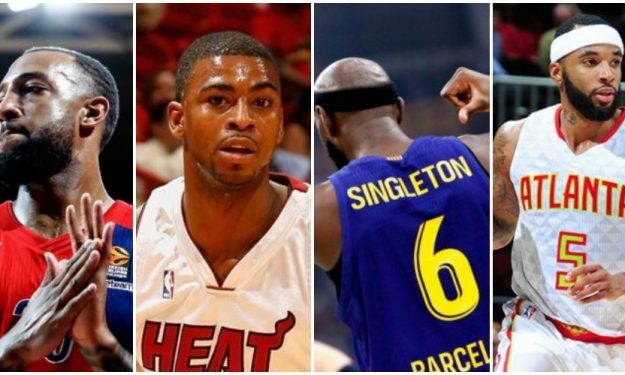 Some of the best American players are also coming to Europe to play in the EuroLeague. The EuroLeague is great because it is more orientated to the team. There’s almost never going to be a player scoring 20+ points every game. It’s going to be a group of guys scoring 8-12 points. That’s impressive. Averaging 12-14 points in Europe is like averaging 22 in the NBA. A lot of people don’t understand that when international prospects from Europe get drafted in the NBA and they average just six points per game. It’s so hard to score in Europe. It’s different. You have to grind it out in Europe to score, while the NBA is more showtime. The atmosphere is something crazy. CBA: Big pay-day. Going out there and showing your skills. The fact that one team can only have two foreign players in their roster, is hurting the CBA. 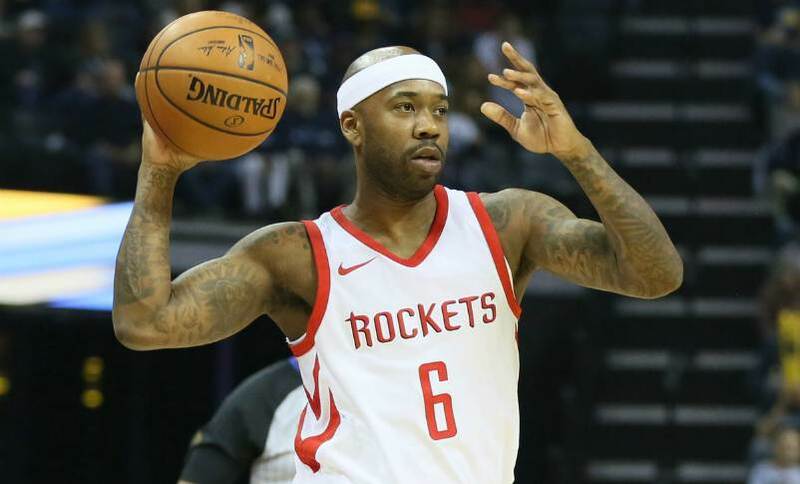 They are trying to develop the Chinese players, but if they want to compete with the EuroLeague, they got to get more American players to come over. The money is not the issue. The CBA is nowhere near the EuroLeague. It’s more of a showcase for Americans to go out there and score as many points. It’s still a great platform and a lot of guys use the competition to get back to the NBA. A lot of guys are also getting a big pay day to support their family. A team in the CBA will be good if it has great Chinese players. The mindset in the CBA for foreign players is to score more than 30 points per game. Josh Akognon: You get a lot of shots in the CBA. They really don’t care too much about your defense. Towards the end of the game, they want to see you play some defense against the other Americans. The main thing in China is to try and get your points up, and to win. How you get to scoring or winning, is not as important as it is in Europe, where everything is so structured and everyone looks at every single shot, as kind of a big thing. The NBA is a numbers game. Europe is the strictest of all three and it’s the toughest to play in. Bobby Brown: The NBA is more athletic and faster. It’s a fast-paced game with high speed and energy. The EuroLeague is a more physical game with a lot of contacts. Some teams have a higher tempo style of game. It is more competitive. The CBA has gotten a lot better. As far as the Chinese players and the imports that play in the competition. It’s still a high-speed, high-scoring game, similar to the NBA. The NBA is obviously the best league, while the EuroLeague is right there, next to the NBA. NBA: The differences between the three major leagues in the world are the following: talent, team, and culture. In my eyes, the NBA has changed drastically over the recent years from the defense there was, to who can put the ball in the basket. The NBA, however, will always have the most talent, because of the exposure it has. Every kid dreams of playing in the NBA. EuroLeague: The EuroLeague is the best team-oriented league because even though a player can get stats, can also play well on both ends of the floor. And when that player has a night off, the other guys on the team can fill in the gap and contribute. Besides, coaches focus more on defensive structure and concepts. CBA: Buckets. The CBA is all about stats, and how the stats, translate into wins. When I was playing in China, I learned that first hand. I had to contribute with big numbers, get buckets and rebounds in order to be rewarded at the end of the day. It wasn’t that bad. The foreign players that play in the CBA competition, can either play in both EuroLeague or the NBA, depending on the role they want to have. NBA: There’s a lot of iso-ball in the NBA and the defensive make-up is a bit different because of the defensive three-second rule. As for the atmosphere, it doesn’t really feel like the crowd gets into it until the fourth quarter. EuroLeague: The EL is similar to the NCAA in terms of playing style. A lot more team play and systems. In some places in the EuroLeague, you step on the court as the opposing team and they are already booing you. Those are obviously really exciting atmospheres to play in and that was some of the most fun playing. In the EuroLeague, there obviously isn’t the same amount of marketing money that comes into the league (same applies to the CBA), and that’s one of the biggest differences, especially if you are an import player, there’s not much going for you, marketing-wise in some of these foreign countries. CBA: The CBA is similar to the NBA, regarding the number of isolations, especially for the American guards. The atmosphere though was a bit weird. It honestly felt like the teams were paying fans to come to our games and they would kind of cheer for both sides, no matter who dunked it, or who made the three-pointer, the fans kind of all cheered. NBA: The NBA is the best. It’s the best league in the world for a reason. The idea of basketball is a lot different. The best athletes, talent and everything else are at that level. It’s similar to the CBA in the sense that it is a more individual league, and also shares some rules. As Luka Doncic said, it’s easier to score in the NBA. The way guys compete is different, the three-second rule makes a huge difference, as the lane is much more open. The NBA is a much more relaxed environment when it comes to games because there are so many games. The one thing about the NBA is, if you can’t play defense, you will get exposed, really bad. In Europe, even in the CBA, you don’t get exposed that bad, because there are certain defenses they (teammates) can help you (zone, double-team). The NBA will expose your weaknesses. EuroLeague: In Europe, teams focus on the total rotation, team type of game. EuroLeague is an amazing competition, with a lot of great players as well. The competitive nature, the way the game is played is different. The atmospheres are also totally different. In the NBA, the teams don’t deal with the same amount of pressure that the teams in Europe deal with, because every game is important, every game is played like it is a playoff game. CBA: The CBA does not have a three-second rule in the paint which is a huge difference. In the CBA, there are big games, mostly due to rivalries, but for the most part, you just got to make sure that you are showing up, every night, putting up numbers. You don’t get a night off. There are guys that play in the NBA that can’t play overseas and there are guys that are amazing overseas but they can’t play in the NBA. And there are guys that can do both. The defensive three-second rule difference helps the guys who can’t play one-on-one defense. NBA: Obviously the best league in the world with the best organization. It cannot be compared to the other two leagues, because the best players compete in the NBA. The style is different, it’s more of a players’ league, where the stars have a huge say. The league is more designed for highlights and star players to get their points. The lanes are more open. EuroLeague: The second best league in the world. The main difference between the NBA and the EL is that the EL teams don’t only play in the EuroLeague. They also play in their respective domestic leagues. The style of play is also different and has different rules. It’s more concentrated on team basketball. Teams run a lot more plays, more pick n’ roll action. It’s a different style of play overall that comes with the different rules. CBA: It tries to mimic the NBA game as much as possible. There are only two imports per team, which makes it interesting. The two foreign players in each team can only play together in the second and third quarter. Derrick Williams: Everybody knows what type of level the NBA is. The EuroLeague is another great league with great competition. The CBA is another good league too, but the rules are a bit different. You can only have two foreigners per roster. In Europe’s domestic leagues, you have some limitations as well to the American players. Competition-wise, I would rank the NBA first, EuroLeague second and the CBA third. What I do like about the EuroLeague, is that every game matters more. It’s a shorter season, 30 games in the league, so every game can sway you up or down. Especially with the insane playoff race. The NBA is a long season with 82 games, which sometimes can affect the players. Some players, don’t necessarily start playing until after the All-Star break, late February. NBA: NBA is the greatest league in the world. Everyone knows that. EuroLeague: Very controlling. You have to do everything as a team. Eat together, wear the same outfits etc. Europe is more college-style for Americans, as far as the team atmosphere. More team orientated. It’s more cool in living than in China. CBA: Basketball in China is hit or miss. If you have a team with good Chinese players, then you can be a high-level team. For almost every team there are two American players and then a lot of Chinese players who play hard. A few teams compete for the championship, but it’s not as bad as everybody thinks. Players score a lot of points, but at the majority of the time, these players aren’t the ones that win championships. The teams who win championships in China usually are the teams with good American players and Chinese players as well. Most people look at players scoring 60, 70 points or averaging 40 points per game, but usually, those players don’t win championships. China is very cut-through. You could average 30 points and get released. A lot of gyms are cold, fans have to wear coats. I’ve been in gyms where you have to have heaters on the bench, to keep you warm.